Never Give Up, originally uploaded by Roberto_Aloi. I know I know – playing with spiders again…, originally uploaded by Roberto_Aloi. I found this small spider on a lantana plant. 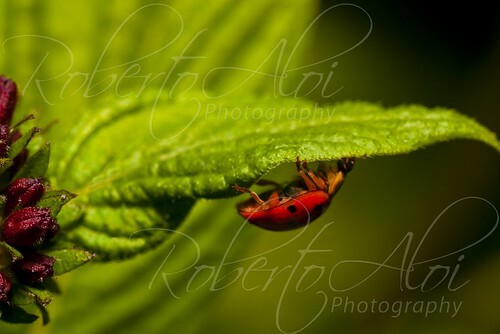 I allowed him to hitch a ride in return for a few photographs. It is in between my fingers just below my knuckle to give you some perspective on it’s size. I will post a non-cropped macro link below of this same type of spider. 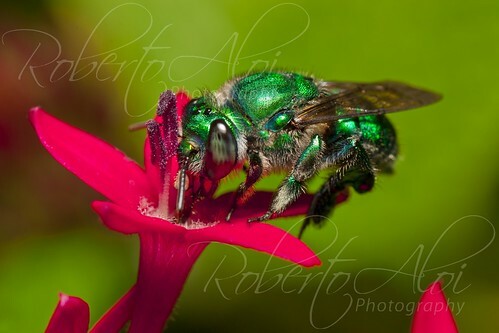 Green Orchid Bee Macro, originally uploaded by Roberto_Aloi. Was following a pair of these bees at Okeeheelee the other night. They always seem to give me more issues then your run of the mill bees. The slightest movement seems to send them off. It took just over an hour to finally get a couple of shots that I thought were worth keeping.